Nuns with guns. Really, that’s all that has to be said about Vincent’s mobile strategy game that’s expecting a sequel in the coming months. 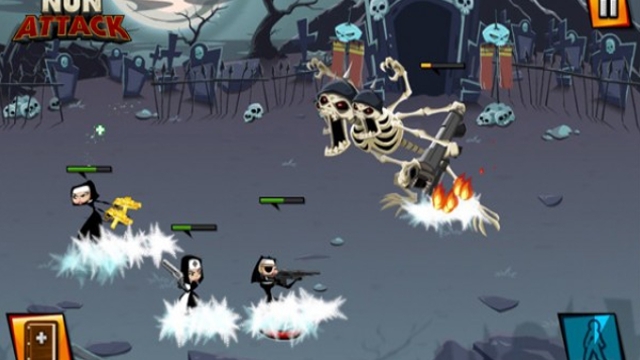 Nun Attack was one of the silliest games to appear at the PAX East Indie Megabooth, and we got a chance to talk about what went in to bringing all the nuns to the small screen. Leave all your nun-related puns and questions in the comments section below!